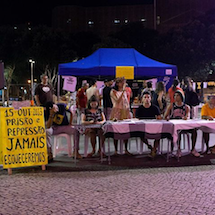 The impeachment process against President Dilma Rousseff resulted from the conjunction of three factors: the rupture of the alliance with business owners, the rise of a new militant right, and the PT’s serious mistakes after abandoning the streets. 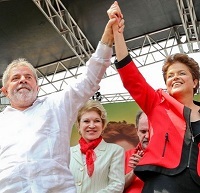 What remains is a wounded society and an extractive model that went unquestioned by the left and undermined the hegemony of the Lula current. The debate is part of all new movements in Latin America: how much energy should be spent building something unique and how much should go to dealing with state institutions. There are two sides to the debate on public policies (participation in the management of public institutions at the local level): fear of being co-opted by the State and fear of isolation. It is the need to choose between creating popular community or governing without power. As the 2016 Summer Olympic Games in Rio de Janeiro quickly approach, Brazil continues to debate the introduction of a new counterterrorism law. 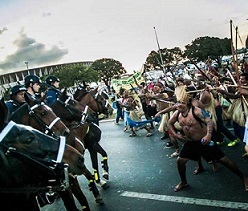 Despite strong criticism from Human Rights Watch that the bill is “overbroad and vague”, the bill has passed in both the Brazilian Senate and, as of February 24, the House of Representatives. 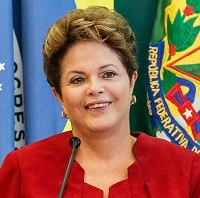 As the bill makes its way to President Rousseff’s desk, we consider the arguments of two politicians. 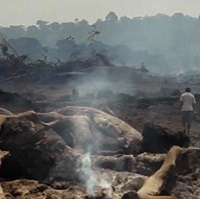 While it wastes its own felled trees, the Belo Monte plant buys irregular wood, heating up a criminal market that invades indigenous territories. Part two of a report on the human and environmental costs of government-sanctioned illegal logging in Brazil’s Pará state. Operation Car Wash and Slave Labor in Brazil: Who Really Pays for Corruption in Civil Construction? 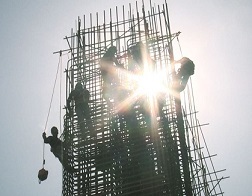 Investigated by the Federal Police, Brazilian construction companies OAS, Odebrecht, Camargo Corrêa, and Andrade Gutierrez reveal an extensive running list of workplace violations including hiring workers with false promises and exploitation of workers under slave-like conditions. While Brazil has never officially suffered from a terrorist attack, at the moment the Brazilian congress is debating a counter-terrorism bill that could create further justification for the criminalization of social movements and popular protest. 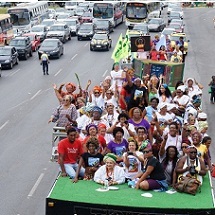 Activists from the Black Women’s Movement in Brazil and a wide array of social organizations marched on Wednesday, November 18th 2015 to commemorate the first National Black Women’s March Against Racism, Violence and for Well Being. 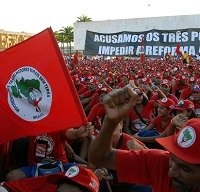 Over 10,000 activists from all over Brazil marched through the country’s capital city, Brasilia, demanding visibility of the challenges faced by Afro-Brazilian women and that these issues be acknowledged by the government through policies that promote race and gender equality. 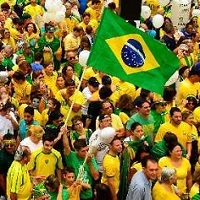 Brazil is a major world power – in terms of size, population, and influence. 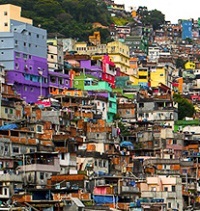 Yet in many ways it is a combination of so many different and contradictory faces that it is hard for anyone, including Brazilians themselves, to know how to define Brazil’s characteristics as a nation and as a force in the world-system.